Click>>here for enquiry on UNWG Charity projects and application. Application forms for 2019 funding is closed. Application forms for 2020 will be available in September 2019. "One hundred years from now it will not matter what kind of car I drove, what kind of house I lived in, how much money I had in my bank account, nor what my clothes looked like. But the world may be a little better because I was important in the life of a child." Each year the UNWG financially supports many children’s charities in Austria and the developing world. This project-based programme is organised for the sole purpose of benefitting children in need. 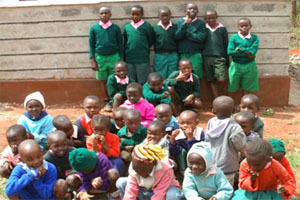 The UNWG charity programme assists abused children, those having restricted access to education, children with serious health problems, children having no access to clean drinking water, victims of calamity or catastrophe, orphans, children with special needs or children suffering from extreme poverty or starvation. On 30 May 2018, the UNWG general membership reviewed and approved the propject proposals submitted by the Charity Review Committee. After many months of hard work reviewing close to 900 applications, the UNWG announced the projects approved for charity funding in 2018. The total approved amount is €224,903 for 28 projects in 27 countries, serving 15,00 children and 5,00 women. This amount was raised by members of the UNWG in 2017 through a variety of activities, including the International Festival-Bazaar. To view a list of the approved projects for 2018, please click on the link below. A ceremony weill be held in October 2018 at the VIC to recognize the organizations receiving the grants. Appliction for funding in 2019 is closed. Application forms for 2020 funding, (in Arabic, Chinese, English, French, German, Russian and Spanish) will be available in September. • The services of the organisation must be available to all children without discrimination, regardless of race, gender, ethnic origin or religion. • Applicant organizations must be registered as charities with their government. • Operational or administrative costs, salaries, taxes, rent, fees, study session expenses, awareness campaigns, transportation fees, large-scale construction projects, micro-credit or income generating schemes. • Food and emergency aid i.e. natural disaster, conflict areas etc. • Maximum funding allowed is €10,000 or equivalent in US dollars. Funding of a specific part of a project may be approved. • Funds may be used only for the project presented and approved. The Charity Review Committee must endorse any change in the utilisation of funds in advance. • The Charity Review Committee monitors the projects to ensure that funds are used for the intended purpose. On completion of the project, a written report is submitted to the UNWG by the organisation, including a financial accounting of fund utilization. The UNWG 2nd Vice President nominates members of the UNWG from different geographic regions to join the Charity Review Committee. The nominations are approved by the UNWG Board. The regional teams assess all project proposals received, select those that meet the criteria and are appropriate for UNWG support. Based on available funds, the final selection is submitted to the UNWG Board and General Membership for approval. Following the review process, NGOs will only be contacted if their application is successful. The results will be posted on the UNWG website by the end of June each year. The Charity Review Committee also maintains communication with approved charities to ensure successful implementation of the projects. Sandya Perera (Sri Lanka), Louise Nkoyock Malong (Cameroon), Khajia Lodoi (Mongolia), Philomena Ugbor (Nigeria), Viorica Cursaru (Romania), Kayo Nakano (Japan), Barbara Mayer (Austria), Diana Oyugi (Kenya). The United Nations Women's Guild Vienna is proud that our efforts help to make the world better for children in need. Together we make a difference.